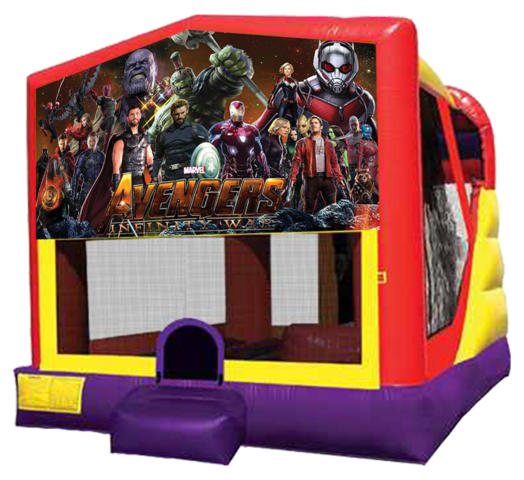 This Avengers Infinity War extra large combo features a large bouncing area, a climber, a big slide and a basketball hoop (located in the bouncer section). The slide is the newest design where the kids never leave the unit until they are ready, and nobody is being "flung" out onto the grass or cement. 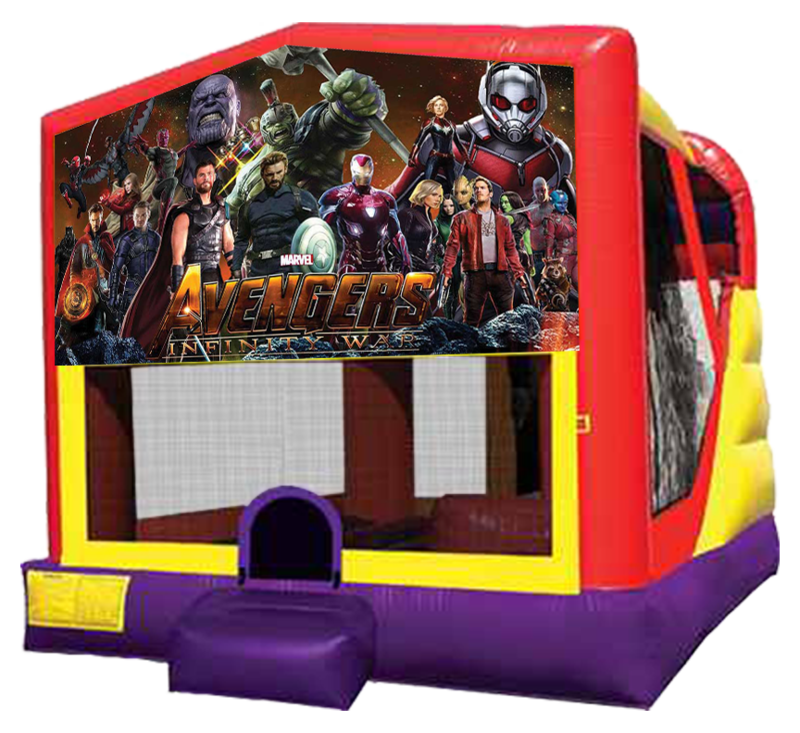 This item features a safety entrance with step, knotless netted windows, extra large viewing areas and a host of other safety features to give you peace of mind while your kids have the times of their lives! Need Avengers themed plates, napkins and party favors? Click here!